Every Student Succeeds Act (ESSA). ESSA is the bipartisan federal education law that will replace No Child Left Behind (NCLB). But unlike NCLB, ESSA provides communities like San Bernardino and its stakeholders — our parents, teachers, school board members and education leaders — the opportunity to provide input on the new law and have our voices heard on what our students need to be successful. 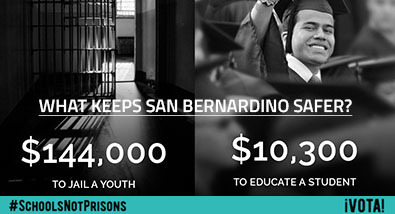 COPE is standing up with #SchoolsNotPrisons for a new vision of school and community safety centered on health, education, and investing in youth. #SchoolsNotPrisons is a free music and art tour that is partnering with California communities that have been impacted by the overuse of punishment and incarceration to ask the question: What really keeps us safe? For decades, California has been overspending on prisons under the mistaken idea that punishing and incarcerating people is what keeps communities safe. It doesn’t. It breaks apart families and communities – especially communities of color, and it is taking opportunity away from our young people. Since 1980, California has built 22 prisons but just one UC campus. And in 2014, youth arrests outnumbered youth votes. And we are ready to get loud for #SchoolsNotPrisons and VOTA! 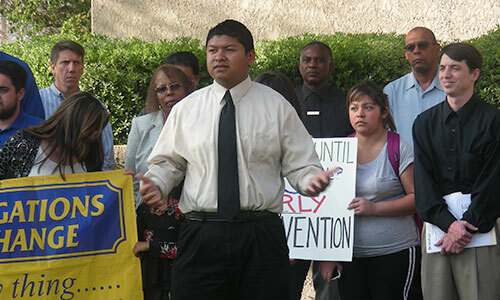 Parents and Communities Engaged in Education (P-CEE) is a project of Congregations Organized for Prophetic Engagement (COPE) that organizes parents and community stakeholders to become effective education advocacy leaders who create meaningful change in schools throughout the Inland Valley region. P-CEE meets every third Saturday from 8:30am to 10:30. See the calendar for next meeting. 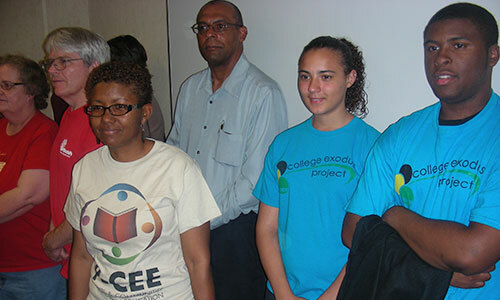 How do parent and community members participate in P-CEE? 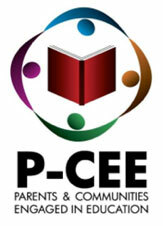 Parent and community members are invited to become leaders in P-CEE. They serve on steering committees to help shape and develop various advocacy campaigns. P-CEE Leaders also participate in monthly leadership trainings to develop their skills in public speaking, data and policy analysis, and community mobilization. Parent and community leaders often represent the concerns of other parents in various public meetings and decision-making tables. P-CEE members meet every third Saturday of the month from 8:00am to 9:30am at the New Hope Family Life Center, 1505 Highland Avenue, San Bernardino, CA 92411. What education issues does P-CEE work on? What are some of P-CEE’s Accomplishments? 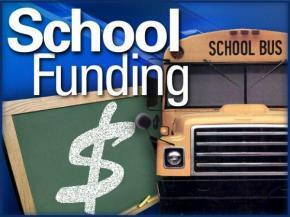 Led local advocacy to win a multi-million dollar investment in parent engagement. 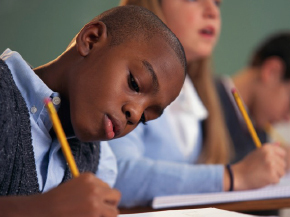 Conducted a collective impact study and Task Force Report that led to district-wide investments to strengthen academic achievement among African American students. If you are interested in becoming a P-CEE member or attending a meeting, please contact Sonya Gray-Hunn, Parent Outreach Coordinator, at sghuun@copesite.org or call (909) 887-3900.